• Refunds for purchases are not made.Delivery is automatic and usually takes from 2 to 10 minutes. Problem situations are handled manually as far as possible.The current product description is available only in Steam: https://store.steampowered.com/sub/72371. 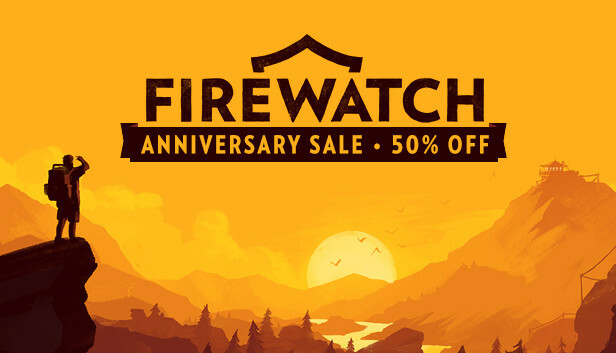 The information below is for reference only and may be out of date.Firewatch is a single-player first-person mystery set in the Wyoming wilderness. The year is 1989. You are a man named Henry who has retreated from his messy life to work as a fire lookout in the Wyoming wilderness. Perched high atop a mountain, it’s your job to look for smoke and keep the wilderness safe. An especially hot, dry summer has everyone on edge. Your supervisor Delilah is available to you at all times over a small, handheld radio—your only contact with the world you´ve left behind. But when something strange draws you out of your lookout tower and into the forest, you’ll explore a wild and unknown environment, facing questions and making choices that can build or destroy the only meaningful relationship you have.